Exciting cash prizes awaits you with just a minimum reload of RM50. Reload as many times as you can and be among the top 33 customers to win! 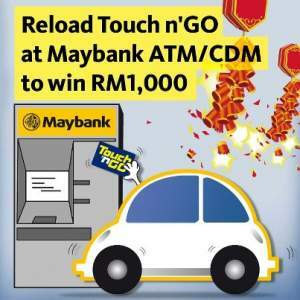 Reload service is only available at Maybank ATM/CDM with Touch ‘n Go label. Visit Reload for Cash contest page for more details.